Aurora, Nevada is one of the West's most historically significant mining towns. Unfortunately it is also one of the least intact and very little remains of the town today. Aurora's boom years were 1861 through 1864. 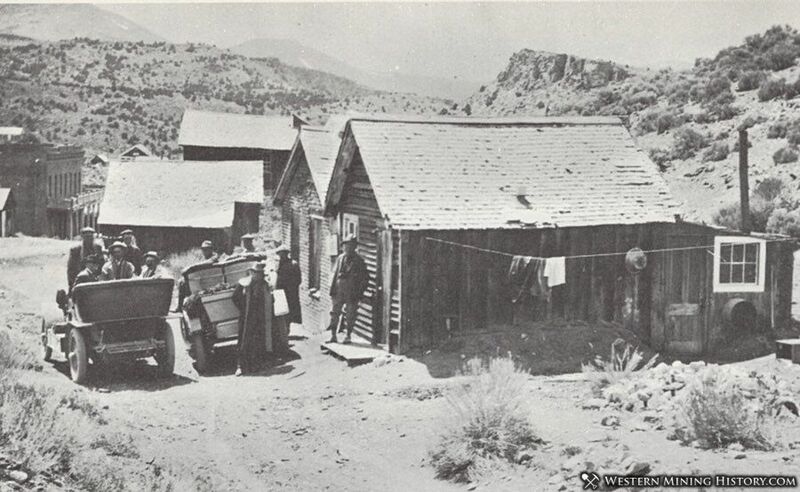 The town peaked early in the history of the mining west, over 150 years ago, and photos and details of life in the town during that period are sparse. Aurora is where a young Samuel Clemens would begin his writing career, and not long after leaving he would become known as Mark Twain, eventually becoming one of the world's most famous people. Aurora was established in the fall of 1860 shortly after rich gold deposits were discovered nearby. The town reached its peak during the summer of 1863 when over 5,000 residents lived among an estimated 1,000 buildings made of wood and locally manufactured brick. Aurora was the second largest city on the eastern slope of the Sierra during these years, only eclipsed by Virginia City. At the time of its founding, Aurora was in such remote and unfamiliar territory that there was much confusion as to what state the town belonged to. California claimed the town and in 1861 Aurora became the seat of Mono County. 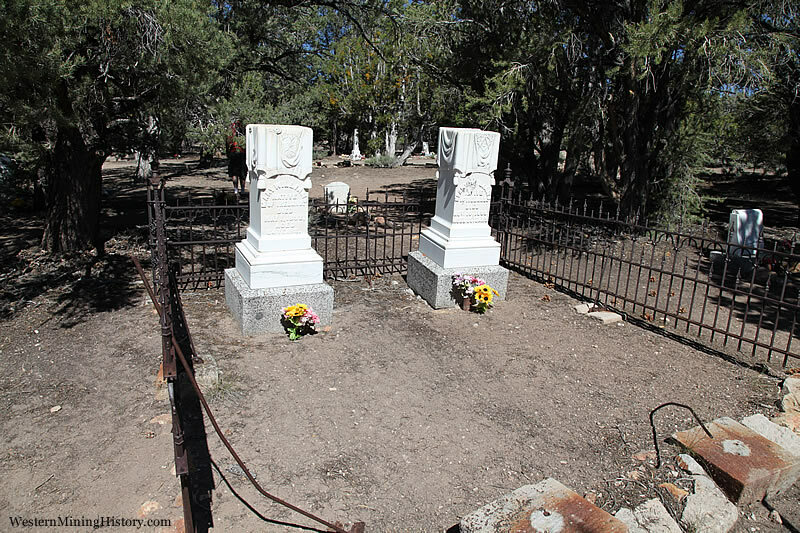 In November of that year, Esmeralda County is created in Nevada and Aurora became the county seat there as well (Mineral County, where Aurora now resides, would be carved out of Esmeralda county in 1911). This certainly must be the only time in US history that a town was the county seat of two counties in two different states. This situation continued for over two years. In May of 1863, Aurora is incorporated under California law. 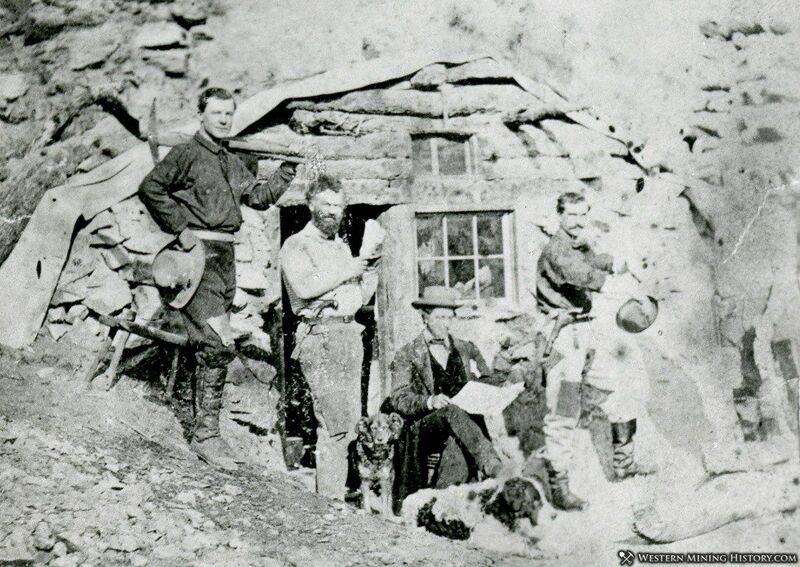 Finally in September of 1863, a federal survey team reaches Aurora and declares that the town is located in the state of Nevada. 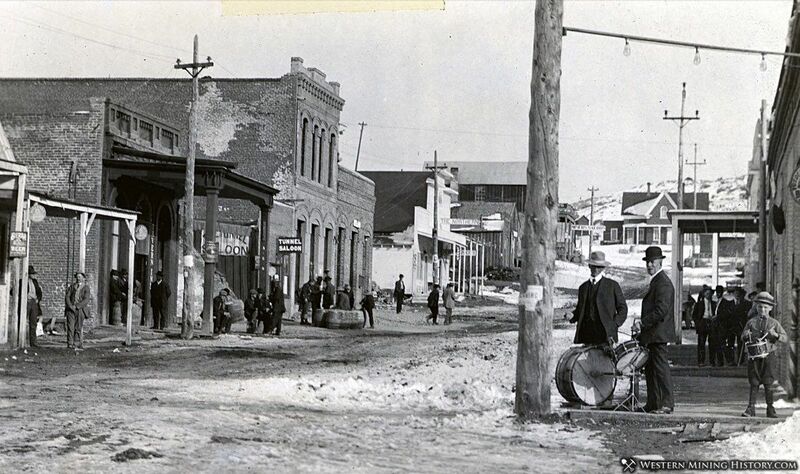 Aurora's big boom ended in 1864 when the richest mines in the district ran out of accessible ore. By 1865 the town reported just one tenth of it's peak population from just a year or two earlier. In January of 1866, a devastating fire destroyed much of Aurora's commercial district. The 1877 boom in Bodie renewed interest in the Aurora mines. This second period of mining activity keeps Aurora alive for another two decades, although the town never regains the prosperity it had in the early 1860s. 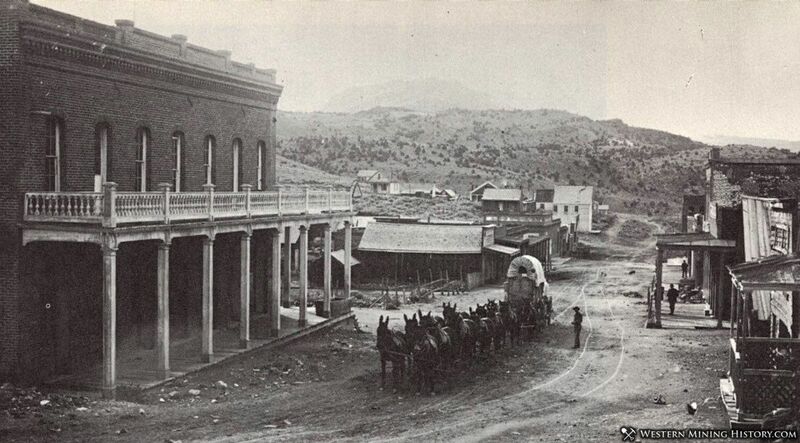 Despite the resurgence of mining at Aurora, the Esmeralda County seat was moved to Hawthorne in 1883. Losing the county seat was a major setback to a town that was struggling to keep its economic base alive, and by 1885 the town was down to just 75 residents. The Sanborn fire insurance map states a population of 180 in November of 1890. This uptick in population suggests that the mines were experiencing a modest resurgence by the end of the decade. The Sanborn map contains an interesting note related to the fire response preparedness of the town in 1890: No steam & no hand engines. No hose carts. Water facilities: not good. Domestic water supplied from private wells. Two public cist's or wells. No hose cart or hose. Frame buildings are old & in poor condition. By the early 1890s, the mines are once again worked out and Aurora is reduced to just a handful of residents. The post office closed in 1897. It would have seemed that Aurora's days were numbered in the first decade of the 1900s, but by 1905 new development of mines in the area was once again saving the town from extinction. In January of 1906 Aurora's post office reopened. Aurora was first connected to electrical power in 1910. 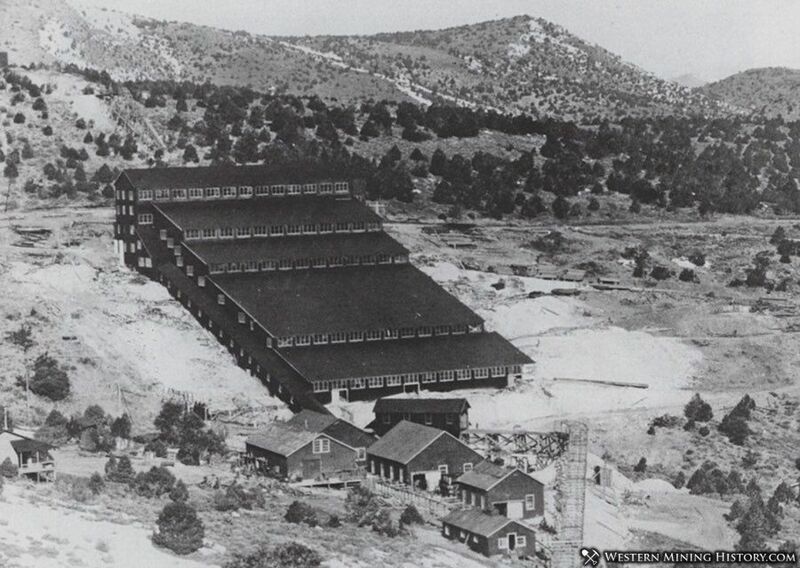 Successful Utah mine owner Jessie Knight arrived in Aurora in 1912 with plans to build a new stamp mill. Knight, a devout Mormon, was appalled at the saloons and brothels in the town. He established Mangum, a company town at the mill site, just over the hill from Aurora. Employees of the Knight mill were said to be forbidden from visiting Aurora. By 1915 Aurora is enjoying its largest resurgence since the 1860s. Around 2,000 people participated in the Fourth of July celebration that year. The final period of mining activity in Aurora was winding down by 1918. Aurora's school closed in June of that year after fifty-four years of operation. In May of 1919 the post office closed for the final time, and by 1920 Aurora is a ghost town. 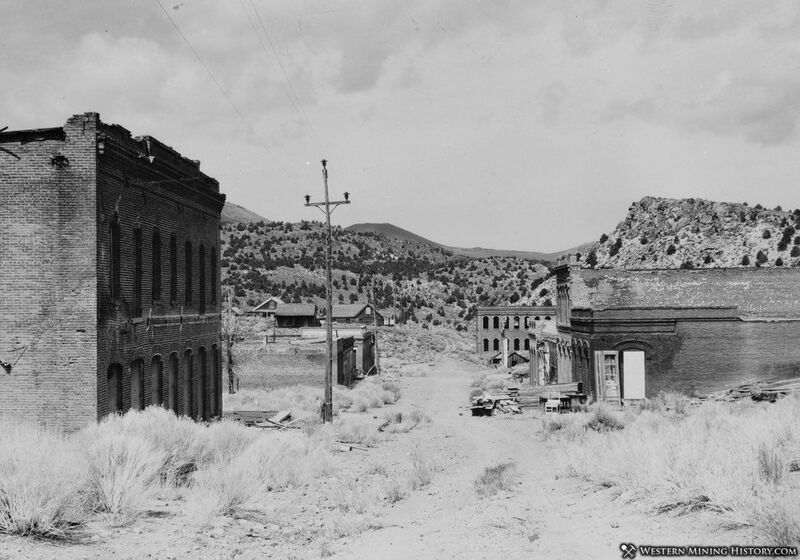 Aurora became an early tourist destination in the 1920s for adventurous travelers interested in ghost towns. The building boom After World War II resulted in Aurora's remaining buildings being salvaged for materials. The last brick building in Aurora was destroyed sometime around 1960. Today the cemetery is all that remains other than a few scattered mining structures. Aurora's most famous resident was a young Samuel Clemens, who would later become known as Mark Twain. Clemens arrived in Aurora in 1862 to begin his career as a miner. Clemens worked claims he had purchased with his brother and briefly held a job at a stamp mill, but neither of these activities provided him with a livelihood. Having failed at being a miner, the dejected Clemens began writing letters in the dirt-floored and canvas-roofed cabin he shared with a friend. Those letters would eventually land him a job as a reporter at the Virginia City Territorial Enterprise, Nevada's most popular newspaper. At the Territorial Enterprise, Clemens began signing his articles with the name "Mark Twain", and his career as one of America's most revered writers had begun. The famous photo that purportedly shows "Mark Twain's Cabin Aurora. Nevada" and includes the line "The book Roughing It was written in this cabin" has been researched and while this particular cabin was in Aurora, it is unlikely that Twain ever lived there nor did he write the book Roughing It during his time in Aurora. The photo was likely labeled as it is to promote tourism to Aurora during a time when the town was struggling to stay alive. 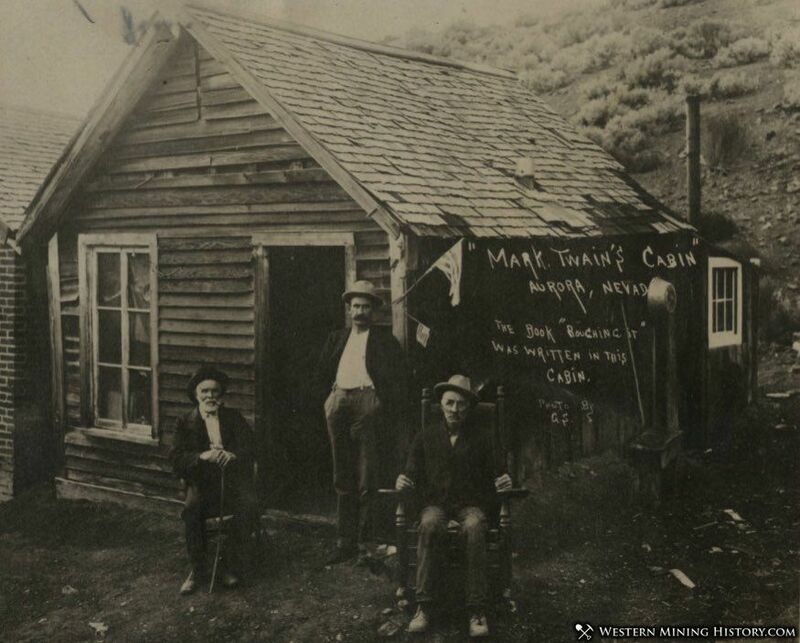 Whether or not this photo was responsible, tourists did come to see what became known as "Mark Twain's Cabin". Aurora merchants would sell Mark Twain souvenirs to tourists, and the tourists would often make off with pieces of the famous cabin, necessitating frequent repairs to the structure. After Aurora had become a ghost town, concern for the cabin led to it being moved to Reno in 1924 in the hope that it could be preserved. The cabin was assembled in Reno's Idlewild Park, where over the next twenty five years it was dismantled by souvenir hunters until nothing was left by the 1950s. Ultimately all this attention and effort around the cabin was the result of a likely hoax. We can imagine that Twain, ever the jokester, would have appreciated how the saga of the "Mark Twain Cabin" unfolded in old Aurora.